A route planner brings many benefits to your business, including reduced transportation costs, increased profit margins, and improved customer satisfaction. If you’re not using route planning apps, you’re leaving money on the table. This is an easy way to improve the overall efficiency of your business. Your drivers will be faster, your customers will be happier, and you’ll make more profit. To realize all of these benefits, though, you need more than just the mobile app. A route optimization solution that only offers a mobile app isn’t going to be your best option, as a mobile app used in combination with a web app is undeniably the most effective way to improve driver performance. Listen, we’re not here to disparage mobile apps. Mobile apps have plenty to offer, as we detailed above – you just need to understand that mobile apps have their limitations as well. Smartphones and tablets seem to get bigger every year, but they’ll never match the size of the average desktop monitor. The smaller the screen, the longer it takes to find the information you’re looking for. Not having a mouse hurts too, as does not having the ability to having multiple windows visible on the same screen. This means that you have to deal with higher interaction costs (which is the total mental and physical effort it takes for you to successfully interact with a product) when you try to access information with a mobile app on your smartphone rather than with a web-based app on your desktop. And according to one test, it’s twice as hard to understand complicated content when reading it on a smaller screen. Also, it takes longer to input information with a smartphone. You need to constantly look back and forth between the content you’re typing and the keypad area. A physical keyboard is a lot easier to use. Allow us to put our psychology professor hat on for a moment – studies show that the human brain can only hold about seven chunks of information in their short-term memory, and this info starts to fade in just 20 seconds. A smaller screen means that you have less visual aids available to support your short-term memory. A lapse in memory might lead to misplacing a package, forgetting about a customer, or some other disaster. Enough about the negatives of planning routes with a mobile app – let’s take a look at the positives of planning routes with a web-based app. The biggest advantage to web-based apps is that they usually have more features than mobile apps. Mobile Address Book Sync Every address you enter into your address book on the web app will automatically appear on all connected mobile devices. Map Your Customers Every contact in your address book appears on a map in both the web app and the mobile app. Search for Customers All leads and contacts are searchable by keywords and other filters. Territory Management You can draw regions on a map, save regions as groups, and plan routes based on the selected addresses. Color-Coded Customer Pins Color-coded lead, prospect, and customer map icons let you see the status of each customer on one easy-to-understand map. Unlimited Custom Data Custom data lets you add as many custom fields and columns as you want per contract record. The custom data is automatically available on your mobile device and can be seen by all mobile users. Search Groups and Filters You can create groups with many filters and conditions to aid with searching for specific customers on a map. Track Users on a Map You can track where all your team members are in real-time (with a 60-second delay). This allows you to make sure your employees are staying on their routes and not making personal stops on company time. If their devices go offline, our system automatically uploads their GPS trace as soon as they regain internet access. Tracking Movie Playback Of course, you don’t have time to just sit down and watch your drivers go through their routes. You have other stuff you need to take care of. With our Tracking Movie Playback feature, you can go back and review your drivers’ movements for a given time period whenever it’s convenient for you. This feature includes fast-forward and rewind capabilities. 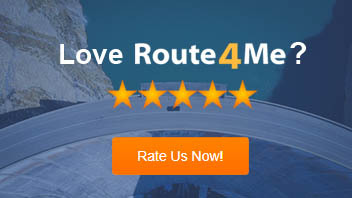 Team Management This helps you manage Route4Me in the same way you manage your business. So, you can add administrators, managers, dispatchers, drivers, route planners, sales managers, and territory managers, and each user can track, analyze, and manage all the users who report to them. Visual Route Timeline Visualize a driver’s route with a step-by-step graph. The distance between each stop represents driving time, and the width of each stop represents how long it takes to service each location. Route Printing You can select the columns from the manifest that are the most important to you and print them out. High Resolution Maps You can print ultra-high resolution maps, up to 100 megapixels, on a plotter or large format printer. Reporting and Analytics Real-time reporting and analytics track your fuel expenses, fuel usage, distance, time traveled, and more. Distributed Team Routing When uploading a set of addresses, enter the number of drivers and the system will create an optimized route for each driver. Projected ETAs You can project accurate ETAs down to the minute, starting from the moment of departure. Time Window Constraints When uploading a route, you can enter time windows. This is helpful for those demanding customers who expect you to arrive within 15 minutes or less of the scheduled arrival time. Our time window optimization feature supports one or multiple depots. Multiple Time Windows You can enter multiple time windows for the same customer as well. Real-Time Dynamic ETAs When your field personnel use our mobile app, the ETAs for each stop are updated instantly as your driver progresses through their route for the day. Multiple Depot Routing When you upload a file with multiple depots and a lot of addresses, Route4Me will automatically tell you which depot each driver should leave from and which customers each driver should visit from that depot. Continuous Route Balancing Ensures that your routes change as little as possible and remain balanced as time progresses and your customer list changes. Weight Constraints Enables you to add weight limits so that your vehicles don’t get overloaded. Capacity Constraints Prevents your vehicles from exceeding their cubic volume constraints. Distance Constraints You can enter distance constraints when building a route, and then all the sub-routes will never exceed the maximum distance you specified. Driver Constraints This feature allows you to assign the maximum work hours per day for drivers, which’ll help you avoid regulatory fines. API Access Gain unprecedented integration with our telematics platform. You access 100% of our capabilities, including route optimization, GPS tracking, track-and-trace, and dispatch, using our SDKs, which are available in over eight programming languages. This feature enables you to quickly upload new client data to Route4Me. It’s simple, really – your employees don’t need any special training or data entry time to integrate client lists into Route4Me. For some very small companies, you might be okay just using a mobile app for your route planning needs. 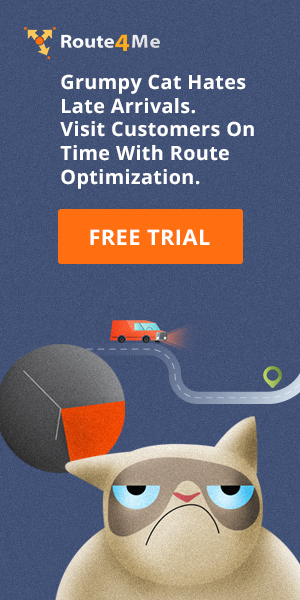 But the vast majority of businesses would be better served by using a route optimization solution that includes a web app in addition to a mobile app. You’re not doing yourself any favors by ignoring all the extra features and benefits that web apps provide. 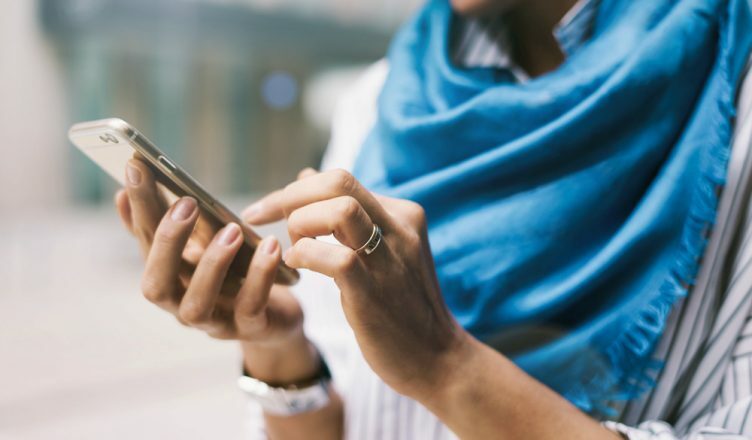 Now that you’ve read this article, are you planning to upgrade to route optimization software that has both a web app and a mobile app? Let us know in the comments section below.